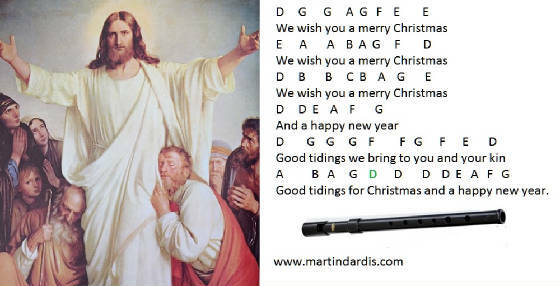 We Wish You A Merry Christmas Tin Whistle Notes And Sheet Music. 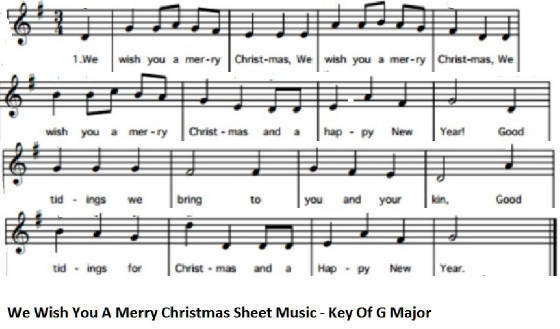 I have made this one easy for those who don't read music. It's in the key of G Major and played on a whistle in the key of D. The note that's coloured in Green is the high D note, so it goes from the high D followed by the low D. I know, it's a big drop isn't it. You just repeat the whole thing over and over.